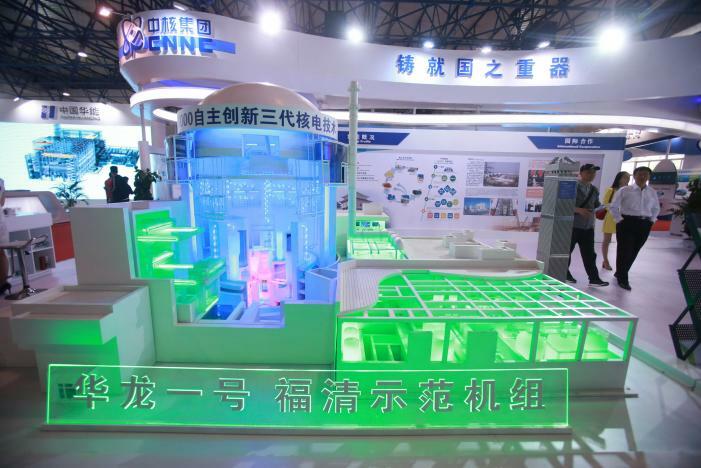 China is betting on new, small-scale nuclear reactor designs that could be used in isolated regions, on ships and even aircraft as part of an ambitious plan to wrest control of the global nuclear market. “Small-scale reactors are a new trend in the international development of nuclear power – they are safer and they can be used more flexibly,” said Chen Hua, vice-president of the China Nuclear New Energy Corporation, a subsidiary of CNNC. The challenges of financing and building large, expensive reactors contributed to the bankruptcy of Toshiba Inc’s (6502.T) nuclear unit, Westinghouse, and to the financial problems that forced France’s Areva (AREVA.PA) to restructure. SMRs have capacity of less than 300 megawatts (MW) – enough to power around 200,000 homes – compared to at least 1 gigawatt (GW) for standard reactors. “The big reactor is the Hualong One, the small reactor is the Linglong One – many countries intend to cooperate with CNNC’s ‘two dragons going out to sea’,” Yu Peigen, vice-president of CNNC, told a briefing in May. Taking into account much lower safety, environmental and processing costs, however, the agency said SMRs could be competitive with new, large-scale reactors – particularly in remote regions where the alternative is a costly extension of power grids.